A familiar pattern, I have noticed, is that many people become interested in eating better after they become unhappy with their weight. There are a million good reasons to eat a healthy, non-toxic and balanced diet, and keeping your weight down is definitely one of them. Carrying extra weight will put enormous strain on your body and internal systems. Looking beyond the surface, carrying less weight will be good for your heart, good for your internal organs, good for your joints and your back, and will make you feel more energetic. If weight loss is a goal and you are starting to learn about how to eat better, a great place to start is to learn about good and bad carbs. To continue reading this post, click here..
Carbs can be viewed as the fuel your body needs to operate. Starve yourself of carbs and tour body will try to conserve energy and you will feel tired. Eat more carbs than you need and your body will store the excess energy as fat. A high percentage of the population lives a lifestyle that falls into the latter category. There are a few different reference systems. The FDA used to refer to carbs as simple and complex, but a more useful reference is the glycemic index. Foods that break down quickly in your body, for example refined sugar, corn syrup, white flour, white bread and starchy foods, are considered high glycemic. Foods that take longer for your body to break down and are higher in fibre, such as whole grains, wheat bread, and most vegetables, are low glycemic. When you consume high glycemic food, your body will process it quickly, and unless you consume a very small amount or you are in the middle of a very physically strenuous activity, your body will turn excess carbs into fat. This happens very quickly, often in a matter of minutes depending on the food source. Once your body has converted all the carbs you may experience a crash and you will likely feel the need to eat again repeating the whole cycle (btw this is why weight loss programs that use point systems to control food intake score these foods high to diacourage consumption). If you consume low gycemic food, your body converts the food slowly and drip feeds energy into your system over the course of hours. 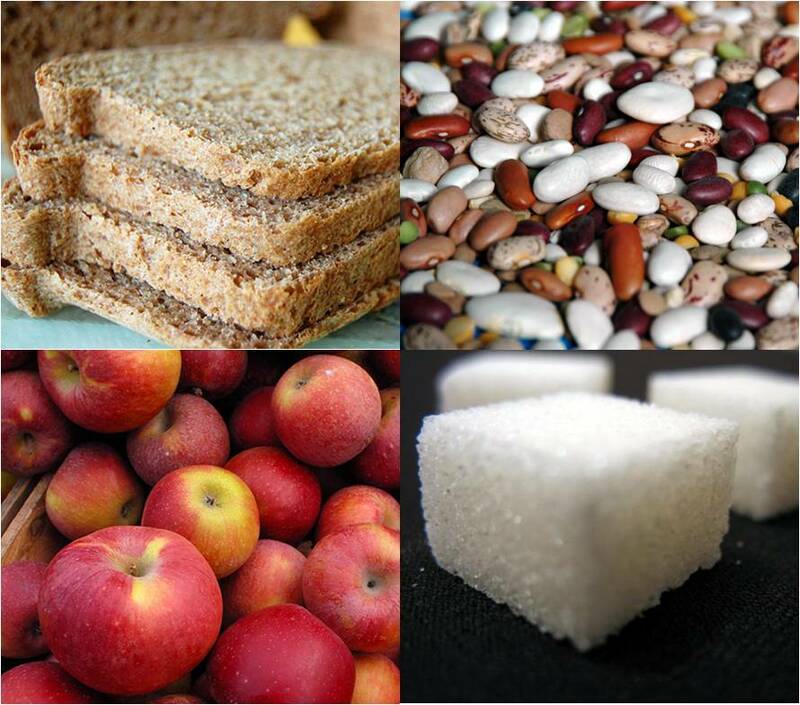 You won’t likely feel empty or hungry as you might after eating high glycemic food. Some people may find it hard to avoid high glycemic food since sugars and starchy ingredients are in so many food products (even organic products and those labeled natural). As a general rule by eating more whole foods in their original form and avoiding processed foods, you will considerably reduce your intake of high glycemic foods and your carb intake will become more aligned with your body’s energy needs. If you also manage your overall carb intake versus what you need, you can manage your weight. Your body will thank you. Posted on: February 28, 2010 Comments: 2 Comments - Leave a comment!